Making money on the internet, working from home, is the dream of many people today. But to do this, you first need to know how to set up an online business. Knowing how to set up an online business and being the owner of a business on the internet means that you can work anywhere, set your workload and be your own boss. 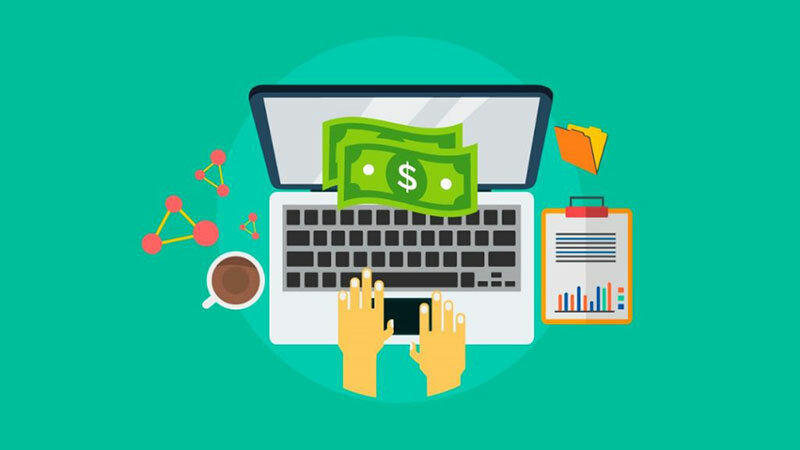 Another great advantage of online companies, and why more and more entrepreneurs start their business in the virtual world, are the initial low costs. Since the investment is much smaller, the internet is the ideal space for new business ideas to be created and tested. If you want to undertake but don’t know how to get started, check out a guide on how to set up an online business. Most people who are starting make the mistake of wanting to define the product/service they will offer before checking if there is a need for that solution. To increase your chances of success, start with a market research. The trick is to find a group of people who are looking for a solution to a problem but are not finding many results. Visit online forums to see what questions people ask and what problems they are trying to solve. Do keyword research to find words and subjects that many people search for, but for which there are not many competing websites. Get to know your potential competitors by visiting their websites and noting what they are doing to meet the demand. With this information, you will be able to create a product for an existing market, and do it better than the competition. It worth to take some time to choose a unique name for your online business. It can improve your search engine rankings. Once you set some options, perform a Google search to see if any similarly named companies appear. You can also search for trademark names on the US Patent and Trademark Office website, and most states allow you to search for registered company names online. To set up a business online you will need a website, so once you decide on a name, register a domain for your company. The domain name is your Internet address, usually ending with “.com”. You can check the availability of the domain name you want by typing it in the address bar of your browser and checking if an existing site appears. Many companies offer domain name registration. You simply set up an account, set the name you want to register, and pay an annual fee. Once you have your product/service set, and have established your sales process, it’s time to really think about how to set up your online business, ie build your website. Remember to keep it simple. On the internet, you have less than five seconds to get someone’s attention. Choose one or two simple fonts. Make your navigation clear and intuitive. Use graphics, audio, or video only if they improve your message. Include an offer to be able to collect email addresses. Do not require more than two or three clicks to complete the purchase. Your website is your online store, so make it customer friendly. Pay per click (PPC) advertising is the easiest way to get traffic to a brand new website. Of course a good organic positioning is the best option, but this usually takes time and work. PPC ads appear on the first page of the search right away, and allow you to test different keywords as well as pricing and selling approaches. So, in addition to getting traffic immediately, you can also discover your best keywords, meaning the ones with highest conversion. These words should be throughout your site, content, and code to improve your positioning in search results and organic search. In addition to knowing how to set up an online business, you need to understand about the best ways to market your product/service. Data indicates that at least 36% of the people who bought you once will buy again if you maintain your relationship with them. But closing that first sale is by far the hardest part, as well as being the most expensive. Upselling and cross-selling are great ways to sell more to a customer who is already on your site. Upselling is a tactic used to make the consumer spend more money by offering a more expensive product than the one he selected, but with more features or better quality. Cross selling is a technique that encourages the customer to complete their purchase by taking products that complement it. Much used in e-commerce, these selling tactics generally consist of creating a “package”, where more products are offered in a combo for a discounted price. Offer products that complement your original purchase. Send loyalty coupons that they can redeem on your next visit. Offer related products on your thank you page, which appears after the purchase is complete. Reward your customers for their loyalty and they will become even more loyal. After completing all these steps on how to set up an online business, you are ready to officially open your virtual company. However, remember that the Internet is a busy place and you can not sit back and wait for customers to come to you. 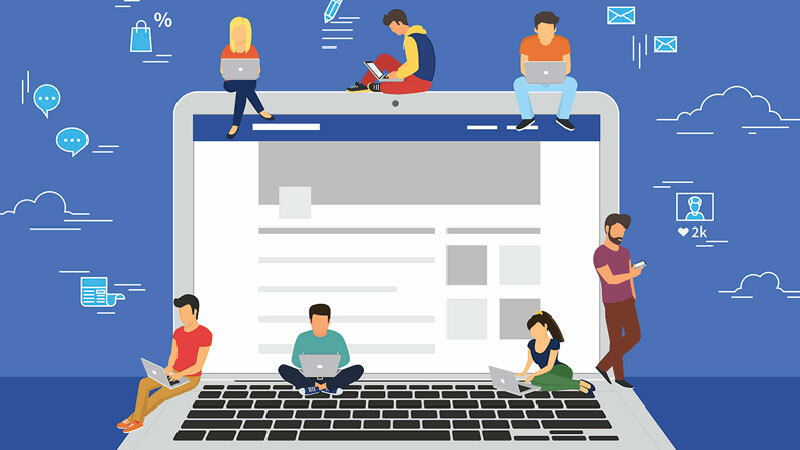 Look for ways to actively promote your business through online advertising, blogging, email marketing, social media, testimonials and the old and good mouth to mouth. Everything helps. Online courses are among the most sought after entrepreneurial options by anyone studying how to set up an online business. As we mentioned earlier, the biggest barrier to most potential entrepreneurs is the initial cost of investment. Fortunately, to create online courses, all you really need to get started is a computer, Internet connection and some simple equipment if you want to record videos. See a list of useful equipment (other than computer and internet) for a course creator who wants to produce videos but also applicable to a variety of business types. You do not need to go out and get into debt by buying a DSLR camera. There are ways to create quality videos with little money. Many instructors use the built-in webcam on the laptop to record the contents of the video. This is an option for people who do not want to spend extra money on a camera. But remember that if you are using your webcam, you will need great lighting to ensure the quality is good. You can also buy a higher quality webcam than the one that comes with your computer. This is often still cheaper than buying a new camera and has a comparable quality. Again, paying attention to the lighting, you can use your camera phone to record your video content. In that case, consider investing in a phone tripod. It will be quite difficult to keep your camera steady and level without one. Finally, you have the option of using a real and good quality camera, such as a DSLR. Professional quality cameras will produce great videos if you know how to use them. It takes some time to learn how to use and get the best results with this type of equipment, so take this into consideration when calculating the time to launch your course. As mentioned earlier, lighting will make all the difference in the quality of your videos. No matter what type of camera you choose to use, lighting can make or break your video. The great wonder is that to get a good light you do not have to spend almost anything. In fact, many people use only natural lighting. That means sitting in front of a window or a sliding glass door. The only thing to keep in mind if you are using natural lighting is that it can change during your video. If it is a cloudy day, you may have moments of extreme light or extreme darkness. The recommendation is to film on a cloudy day. If the sky is just a large cloud, instead of a lot of scattered rays, the lighting is as stable as possible. Your next choice is to use a ring of light. The ring lights are great because they cast an uniform light on the face of who is being filmed and eliminate strong shadows. However, this product can be expensive, so the advice is the same as what we would give for the acquisition of a DSLR camera: just buy if it will be used for other purposes besides recording your course. In our opinion, sound quality is even more important than lighting. Your video may be beautiful, but if the sound is too echoey or static, viewers will be annoyed and will not want to watch. That’s where the microphones come in. If you invest in just one product other than your computer and your Internet connection, it should be a microphone. Backdrops are important to make your video professional. A cluttered background will distract the viewer from your content. The simplest background is a tidy room. If you are recording a cooking course, you may choose to film in your kitchen, or if you are teaching online marketing, you prefer your office. Just make sure your background is organized and professional looking. How to set up an online business has just gotten much clearer, hasn’t it? And if your plan is to create and sell online courses, Coursify.me is designed to help you. 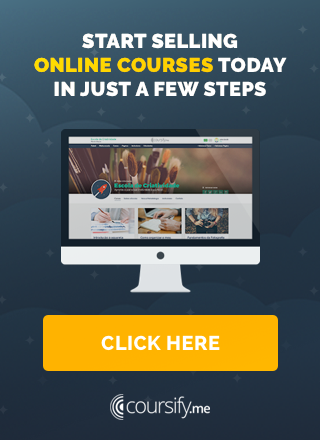 Complete eLearning platform, Coursify.me is the ideal solution for anyone who wants to create, sell and promote courses on the internet without having to invest to start your own business. Attending companies and professionals in more than 60 countries, the platform is a dynamic and customizable Learning Management System. That means you do not even have to invest in building your own website. Coursify.me is ready for you to enter your course and create a totally customized page for your business. We have three options for you to decide what best suits your needs and the good news is that the Beginner Plan is free! Visit our website, test the platform and start selling online courses now.